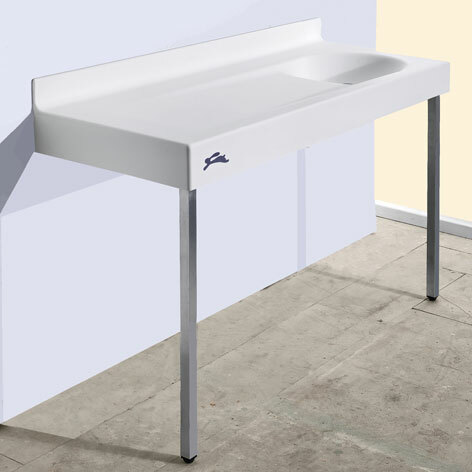 PuSiCo is an elegant and minimal washbasin and changing table made of scratch-resistant acrylic stone, velvety and warm to the touch. It has rounded edges in order to facilitate both safety and cleaning. Leura s.r.l. is available to make it in different sizes, beyond the standard 140cm, in order to better adapt it to the space in which it is placed. It is available: suspended, with two legs of reinforcement or self-supporting. PuSiCo is accessible to wheelchair users. It is easy to clean thanks to its linear, rounded and essential shape. 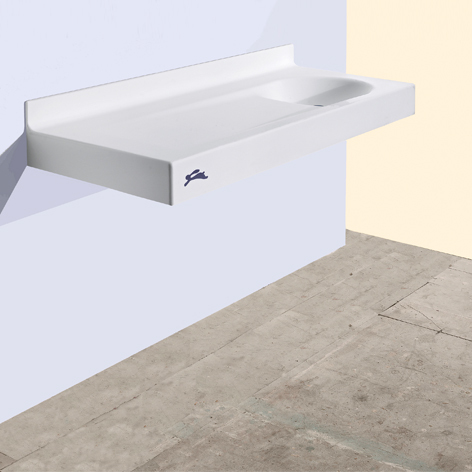 The surface of the shelf has a slight inclined modeling that brings any liquids to flow and discharge inside the washbasin, which is shallow and elongated to accommodate the mother's arm and allow her to bathe the baby when it is very small . The contained width facilitates the positioning of PuSiCo inside nursery rooms. PuSiCo is made of waterproof, scratch-resistant acrylic stone, resistant to moisture, mildew and UV rays. The dimensions are (LxWxH) 140x53x80cm. 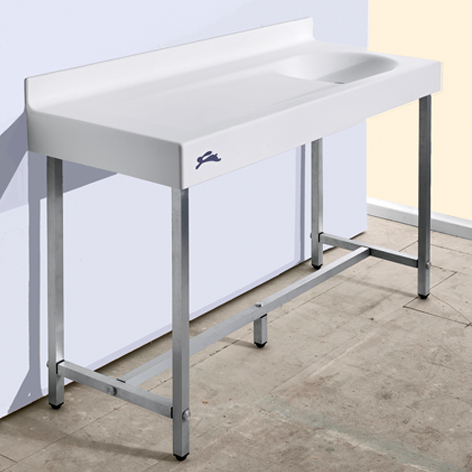 The 90 or 180mm deep washbasin is positioned on the right or left of the shelf. Leura srl recommends to complete it with a wall-mounted tap with lever control to facilitate its operation also using the elbow. The faucet can also be placed on the shelf on the outer side.